‘The world must feel a moral responsibility to act. And if my story can influence world leaders to act then it must be told”, says Nadia Murad Basee Taha. Witnessing immense trauma, Nadia fought with determination to escape. 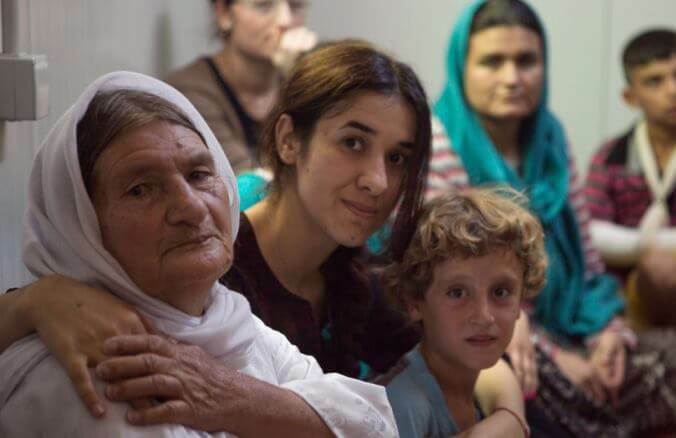 In 2014 the Yazidi community in Kocho, Iraq, where Christians and Muslims lived side by side in harmony, was raided by the Islamic State. Nadia, her family, friends, and people were taken captive, enslaved and assaulted. They separated women from the men and distributed them to fighters as slaves. Witnessing immense trauma, Nadia fought with determination to escape and finally managed to flee. Nadia’s past isn’t an easy one to re-live nor is it easier to express. But she tells her story continuously, day to day, growing in strength, courage and activism, quite simply, for us and global leaders to help make a change, uniting to counter-terrorism, human enslavement and mass trafficking. Today, 23-year-old Nadia stands as a pillar of hope, a Nobel Peace Prize nominee and the founder of Nadia’s Initiative. It was during the Annual Meeting of the Clinton Global Initiative in September 2016, that the audience including Anne Biging, CEO of Healing Hotels of the World, learned of the wounds Nadia held, representing all the women and children afflicted. “My role as an activist is not just about my suffering – it is about collective suffering”, says Nadia. What can we do to heal communities devastated by terrorism? This immense task requires a holistic approach, one that addresses the pursuit of justice, humanitarian support, and global awareness. 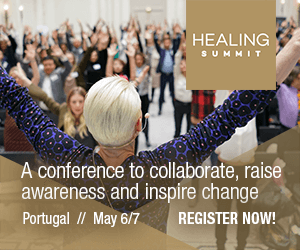 The HEALING SUMMIT, a two-day conference organized by Healing Hotels of the World, summons business experts from all over the world. The aim is nothing less than to make the world a better place as all people deserve a peaceful world. This is purely by reflecting on the values that make us human; respect, love, tolerance, and mindfulness for ourselves, our fellow human beings and the planet we live on. This counts for both our private and professional lives. To make the world a little bit better starts with supporting people or initiatives with a meaning, in order to maximize their impact. For that reason, the HEALING SUMMIT donates part of every participant’s registration fee to Nadia’s Initiative to support her fight for a peaceful world because all people deserve that. “We must work together to counter terrorism. – Nadia Murad Basee Taha.